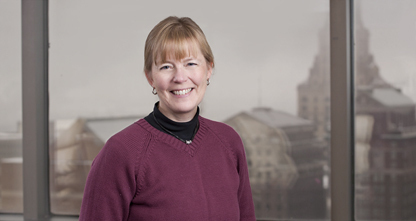 Patricia Whitehouse has extensive patent experience in the materials science field from polymers and polymer composites to inorganic materials. Her organometallic chemistry background is an excellent foundation for rapidly grasping the issues associated with a range of topics, including organic synthesis, polymer synthesis, polymer blends, polymer composite compositions, ceramics, alloys, and catalysis. Her thesis work focused on applying organometallic catalysts to organic reactions. Pat has extensive experience in patent analysis, searching, drafting, and prosecution – both in the U.S. and internationally.